I counted 135 people out on boards as I walked past the Cove this morning, which is where people learn to surf on Maui's south side. There you can always find small waves which run forever. 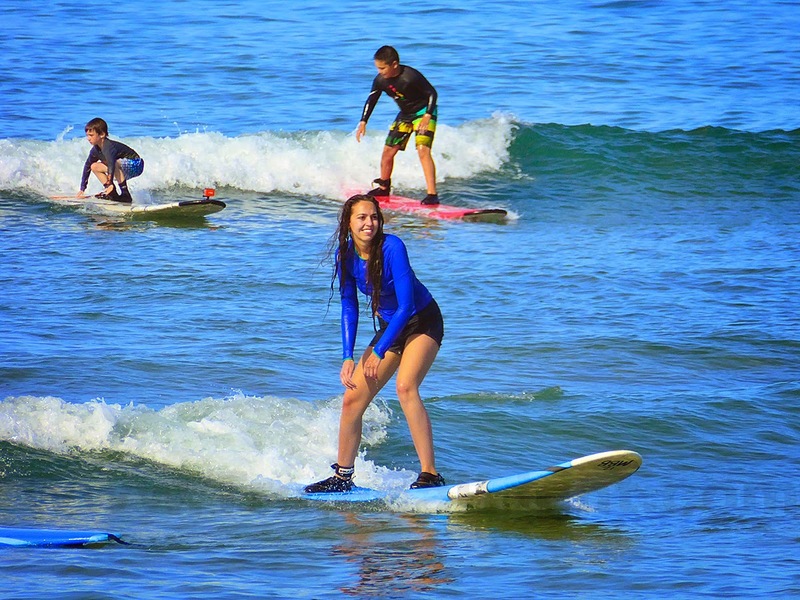 All you need to do is point a long surfboard toward shore and you will ride all the way in. Lessons are given all along the shore like the one in the second photo. 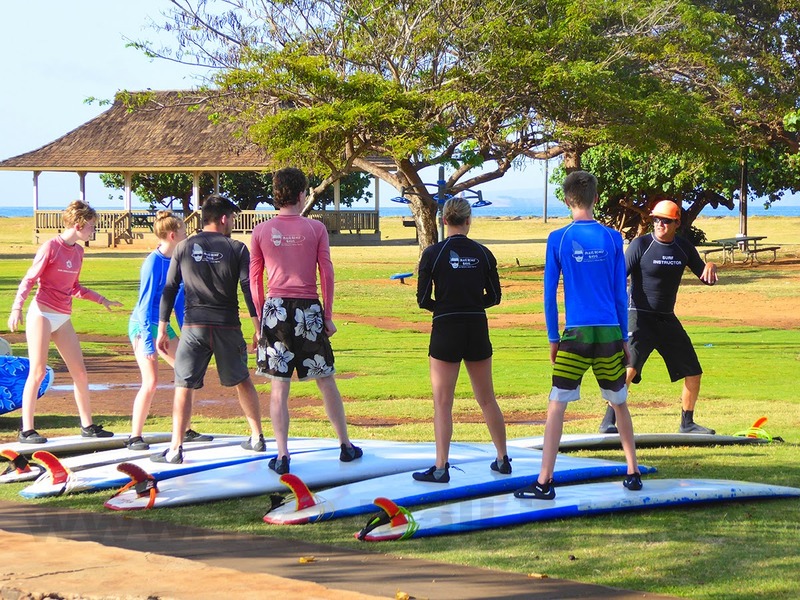 The instructors then go out with you and they guarantee that you will stand up and ride a wave.